Is your list getting stale? Does your marketing currently look something like this? Your list is getting stale. Sending the same offers and content to the same people can eventually reach a point of diminishing returns. The simple solution is to get your existing content and offers in front of some new people. Your existing list can be a rich source of repeat business and referrals. Never stop communicating with it. But new people, who don’t know what you do and have never heard what you have to say, provide you with a very profitable lake for you to fish in. In fact, most of your “external” marketing should be designed to get new people to opt-in to your list. If you have new people signing up every day, you’ll never run out of fresh fish. For obvious reasons, many real estate agents target new arrivals in town, both homeowners and businesses. You might want to do the same. When someone moves to your city, there’s a good chance they don’t yet have an attorney. If you are first attorney to “greet” them, when they are ready to hire an attorney, you’ll be first in line. If you handle real estate, family law, estate planning, or immigration, or you represent small businesses, new arrivals are a natural target market. Insurance: health, renters/homeowners, auto, etc. A checklist like this, provided “compliments of” your firm, will make a favorable first impression and provide prospects with an easy way to contact you to get more information. Make sure you include another offer in your guide, for a report related to your practice area, available for download at your website. This will help you build an email list so you can stay in touch with the new arrivals. You can advertise your guide or mail it. You can also provide free copies to local merchants, especially real estate agents, moving companies, builders, decorators, and so on, who can provide them to their customers and clients. New arrivals also need other services–insurance agents, an accountant, landscapers, painters, and so on. You can offset some (or all) of your printing costs by including small ads in your booklet from these local merchants and service providers. Your advertisers may pass out copies of your booklet to their customers and clients. This is a simple idea that you could put together in a couple of hours. It could bring you a lot of new business. It will also allow you to meet other professionals and business owners in town, giving you an opportunity to show them how you can help them and their clients or customers. A great way to build your email list, and thereby your client list, is to conduct a contest or drawing. Basically, you announce the contest to your existing list (and/or on social media, etc. ), and offer one or more prizes as an incentive. If you have a way to track “referrers” to your list, you can reward people who send you the most traffic or sign-ups. If not, you can conduct a random drawing (eenie, meanie, minie, moe) and bestow your prize or prizes on whomever your index finger lands on. You can contact influencers (bloggers, professionals with a list, etc.) and allow them to invite their subscribers or clients to participate. You’ll get exposure to their list, including the ones who don’t sign up for your list. But what should you offer as a prize? 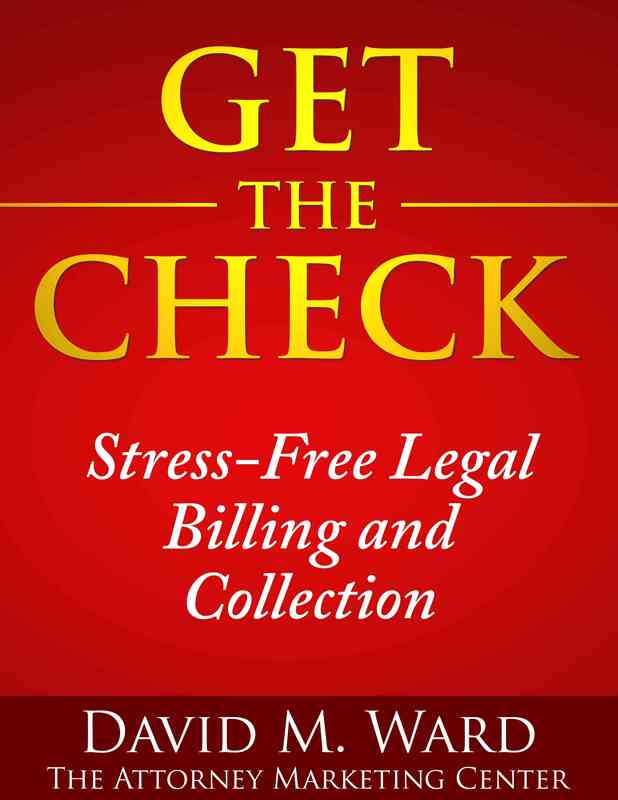 The best option is a package of your legal services. The winner gets a service you offer (or a portion thereof), or a package of services, at no cost and with no obligation. If they already have had that service or otherwise don’t need it, they can give their prize to someone else. Why is this the best option? Because it will attract people who are interested in your services rather than random people who sign up to win an iPad. The biggest reason for making your services the prizes, in case you haven’t figured it out, is that every prize winner becomes a client. Choose an entry-level service or a segment of a larger service you can give away. If you charge hourly, give away two hours (or whatever) towards any of your services. Or, do something bigger with a grand prize and several smaller prizes. Oh yeah, once you’ve conducted your first drawing (and seen the results), you can then (a) extend the deadline (and get even more subscribers) and/or (b) do it again in 90 days. Try it, you’ll like it. So will everyone who signs up. Are you making this expensive advertising mistake? The other day I heard a radio commercial for a real estate broker. The show’s host said he’s the only broker he recommends and provided examples of some of the great results the broker has obtained for his clients. The commercial ended with the host telling the audience to call the broker, provided the phone number, and repeated it. The broker sounds like a real player, someone you should talk to if you’re thinking of buying or selling. But there was something missing. Something that could help this broker massively increase his income. It’s a common advertising mistake. Sad because it is so easy to fix. There are three categories of people who hear this ad. The first category is the smallest but provides the most immediate revenue: people who like what they hear, pick up the phone and call. The second category is the largest: people who will never call. They don’t own property, aren’t planning to buy property, have a brother in the business, and so on. The third category isn’t as big as the first category (those who call) but offers the most long-term profit potential. It consists of all of the people who were interested but didn’t call. They didn’t have time to call. They’re not yet ready to buy or sell. They want more information. They don’t want to talk to someone who will try to get them to make an appointment. Lots of good meat left on dem bones. At some point, many people in the third group will be ready to call. Unfortunately, they won’t remember the broker’s name and will call the next broker who comes along. Tell listeners to call OR visit your website. At the website, they get tips about buying and selling, information about the market, hear more success stories, learn more about your greatness, and generally sell themselves on making that call. If they’re still not ready, perhaps they will download your special report or planning guide, giving you their email and allowing you to stay in touch with them until they are ready to call. Some won’t ever call (for a variety of reasons) but will tell their son or daughter, friend or neighbor, about you, and they will call. Mr. Broker, by not giving listeners another option besides “call now,” you’re leaving a boatload of money on the digital table. Yes, you can continue running ads and appeal to people who are ready to call, but why not also begin a conversation with the ones who aren’t yet ready? If there’s enough of them on your list, you may never have to run ads again. Have you ever rented a mailing list? If you handle estate planning, for example, you can rent a list of AARP members in your area and mail a letter inviting them to your seminar, offering them your ebook on estate planning essentials, or simply offering your services. If you handle small business matters, you could rent lists of subscribers to publications that cater to start-ups or inventors or small business management issues. You can rent lists based on public records, buyers of certain products or services, members of designated organizations, or people who have asked for information about just about any subject under the sun. There are email lists available, too. Ask Uncle Google or Aunt Bing to show you what’s available for “mailing lists” or “mailing list brokers” and see for yourself. Not all lists are created equal, of course. Some are great and will produce many clients for you. Some won’t produce any. But you can test any list by mailing (or emailing) to a small portion of the list to find out. If you get a good return, you can roll out to the rest of the list. If you don’t, you can try something else. Of course, the best lists are the ones you create yourself. They are usually much more responsive and profitable than any list you rent. Everyone on that list knows who you are and what you do. They came to your site and asked you to send them information. That means they’re either interested in hiring a lawyer who does what you do, right now, or they’re interested in the subject of your information and might hire you at some point down the line. Some of the people on your list are ready to make an appointment. Others have questions and want to talk to you on the phone. Some aren’t ready to do anything but will be in six months. Some may never hire you but will send you referrals. The people on your list can also help you build your list even bigger. They will share your website content, for example, with their social media friends and followers or their customers or clients. Your list could bring you several new clients each month. Or more. All you have to do is send them the information they asked for and stay in touch with them. Now, if a list like this were available from a list broker, how much would it be worth to you? A pretty penny, me thinks. If you think so, too, start building your list. You can use ads or social media, blogging or SEO, speaking, writing, networking, and many other methods of driving traffic to your law firm site or a separate one-page site specifically for that purpose. Visitors fill out a form, providing their email address, and you send them the information. It’s nice hearing from readers who say nice things about my emails. It’s even nicer when they tell me I’m full of it. If your readers don’t at least occasionally tell you that you missed something or you said something they strongly disagree with, you’re missing the boat. You’ve want to be edgy. Controversial. Provocative. You want your readers to feel something, even if that something makes them want to take a swing at you. If you never lose subscribers over something you said that offended them, you may be guilty of the cardinal sin of being boring. If you’re boring, readers won’t read you. If they don’t read you, they may forget you. If they forget you, they’re not going to hire or recommend you. Now, someone is reading this and thinking they would never go that far. They cherish their subscribers and would never do anything that might get a complaint or, hell-to-the-no, cause someone to unsubscribe. If you never take risks with your writing or marketing, if you don’t do anything to stand out and be remembered, you run the even greater risk of living a life of mediocrity. Because boring is one step away from irrelevance. Besides, do you really want subscribers who can’t stand a little heat and never get the joke? Who are easily triggered and need to hide in their safe space? I don’t. I want them to go away and make room for people who get me and support me and buy from me. You want fans. You want champions. You want people who look forward to reading you, and who might sometimes disagree with you, or get perturbed with you, stick with you, no matter what. Because they love you and know you love them. For most attorneys, especially solos and small firm practitioners, one of the best ways to build their practice is with an email list. If you don’t have one, you should start building one immediately. Having a list allows you to stay in touch with prospective clients and people who can refer them. When they’re ready to hire you, or they know someone who is, you won’t have to wait for them to find you and then convince them that you know what you’re doing. They’ll already know you via your newsletter. 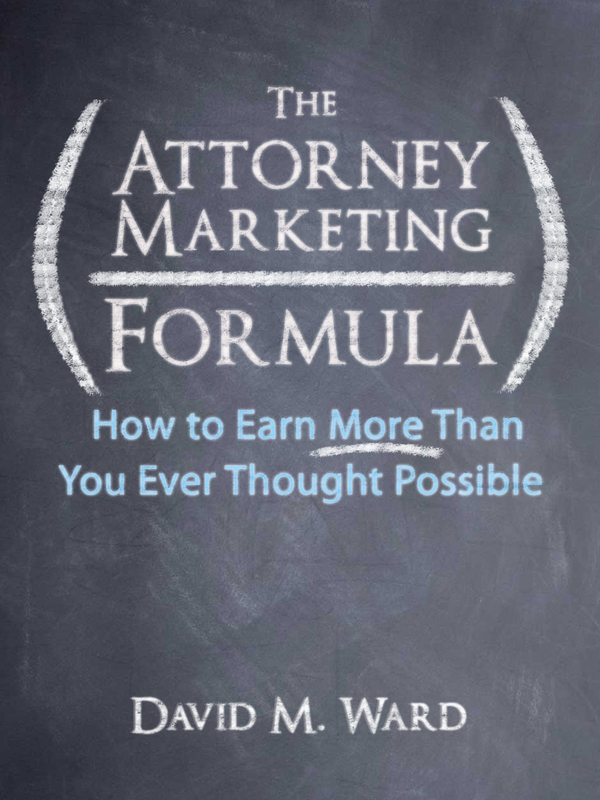 Marketing legal services is so much easier and profitable when you have a list. Start by setting up an email capture form on your website. Write a report that would interest website visitors and offer it as an incentive to sign up for your list. Tell everyone you know about your newsletter and invite them to sign up. There are lots of other ways to build your list. One of quickest is to seek out people in your niche who already have a list. Find other professionals who write an email newsletter, for example, and offer to write an article for their newsletter or blog. You can also offer to do a webinar or a Q and A hangout. Business owners, professionals, bloggers, and consultants, need high-quality content and many will jump at the chance to have you supply it. Some of the people on their list will then sign up for your list. Yes, you can benefit from this approach without having your own list. Instead of promoting your newsletter or report to their clients and contacts, these professionals, et. al., will promote you and your website. Some of the people who learn about you will need your services immediately. But many won’t. And that’s why having a list is better. There are lots of ways to bring in new clients. Referrals, writing, speaking, networking, and other “reaching out” methods all work. But nothing is quicker than advertising. Done right, an ad can pull in new clients within minutes after it appears. Not only that, in the online world especially, advertising gives you unprecedented control over your message–where it appears, how often it runs, and who sees it. You can test different headlines, copy, and offers, to find out what works best. You can start out with inexpensive PPC and classified ads, and when your ads are working, increase your budget to maximize your return. Maybe you don’t like the idea of advertising. I understand. 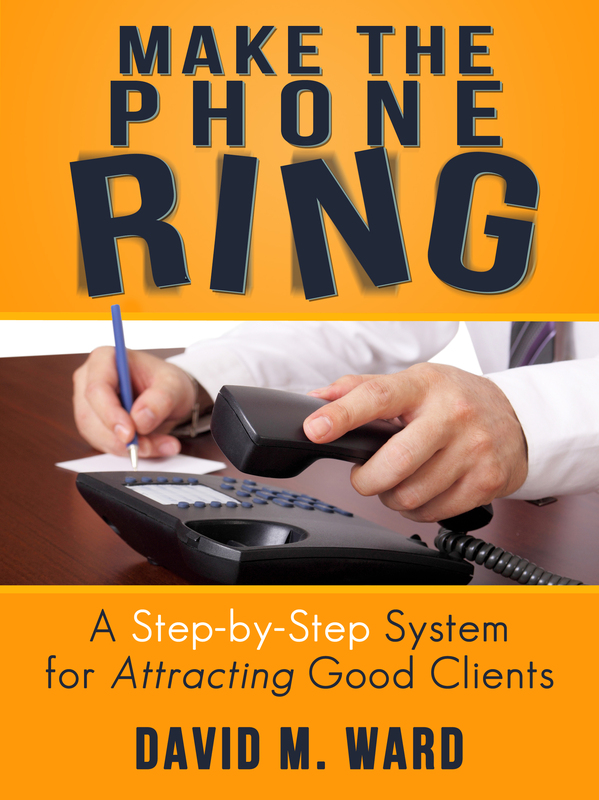 But don’t hang up the phone until you hear what I propose., because what I propose could be your ticket to quickly growing your practice. Many lawyers who reject the idea of advertising do so because they think it’s unprofessional or inconsistent with the image they want to portray. Or they believe it “won’t work” for their type of practice or their target market. I’m not going to debate any of that right now. Instead, I’m going to propose a different idea. Instead of advertising your firm or your services, what if you advertised a book or a report? The spotlight wouldn’t be on you, it would be on the report. 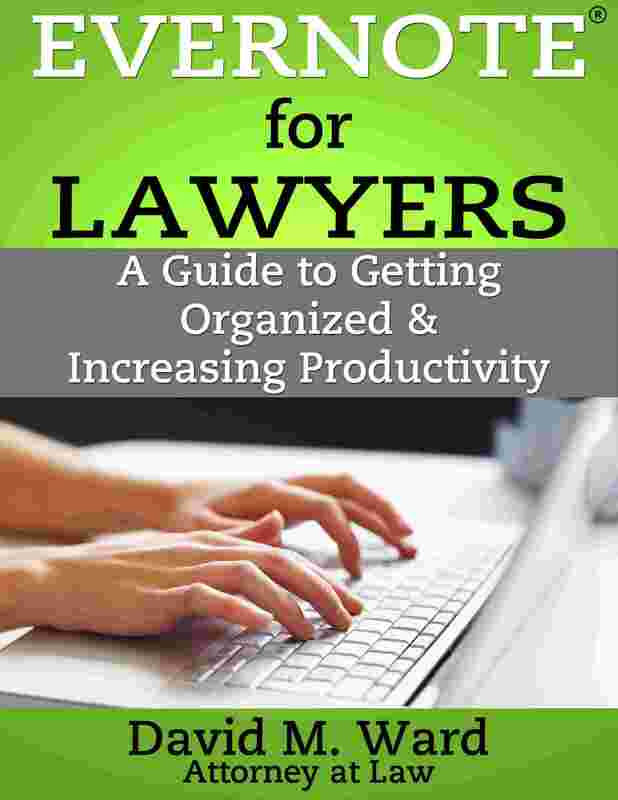 Many attorneys write books and other information-based “products”. What’s wrong with advertising them, either for sale or as a free giveaway? Okay, so you have to write a book or report. But you could do that in a weekend. 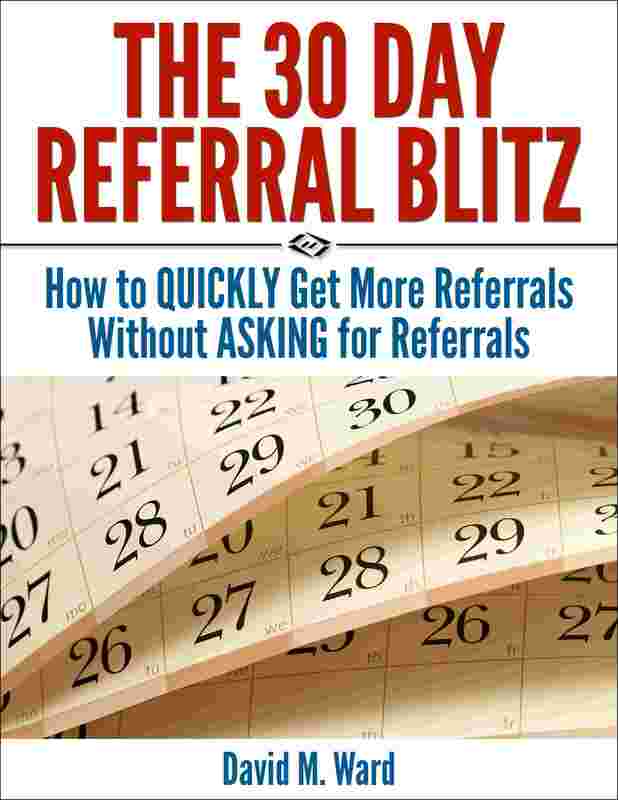 “The 30 Day Referral Blitz” shows you everything you need to know to quickly write a “Special Report” you can advertise, and use for other marketing purposes. You could also hire someone to write the report, or help you write it, but don’t overthink this. 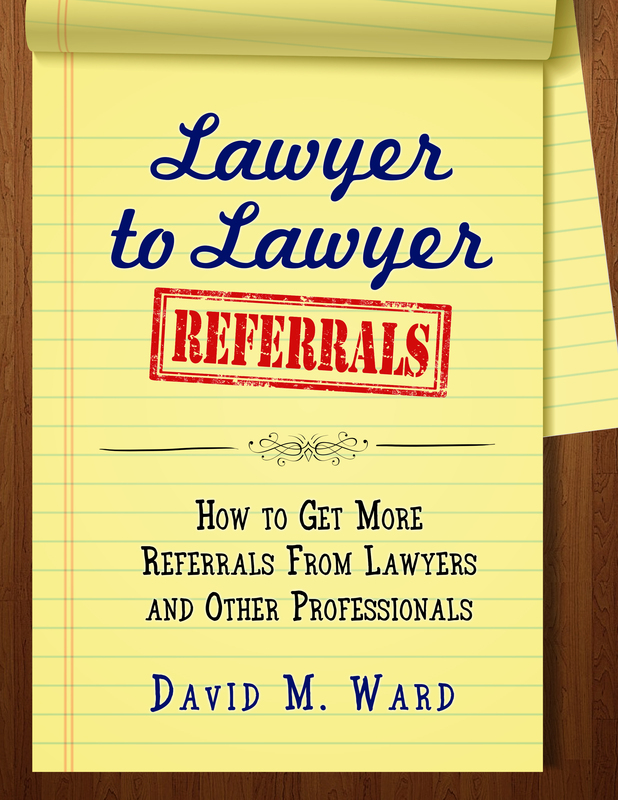 If you can pass the bar exam, you can write a report that prospective clients will want to read. Once your report is written, you advertise it and give it to prospects who visit your website (or a separate website dedicated to the report, if you want) in return for signing up on your email list. Your website can handle the sign-ups and delivering your report, automatically. Your report provides your prospective clients with valuable information on a subject that interests them. It also shows them how you can help them. If they like what they see, and they’re ready to hire an attorney, you’ll probably get the call. And this can happen immediately. Some prospects will request your report, see what you do, and call you even before they read the report. Others will read the report, follow links to your (other) website where they can learn more, and then hire you. Some won’t be ready to hire you, but they’ll be on your email list and you can send them additional information about what you do and how you can help them. When they’re ready to hire an attorney, there you will be–in their minds and their (e)mail boxes. It doesn’t get simpler–or quicker–than that.